The nest 3 pages contain original articles that were written about my dad, mostly from the late 1940's. 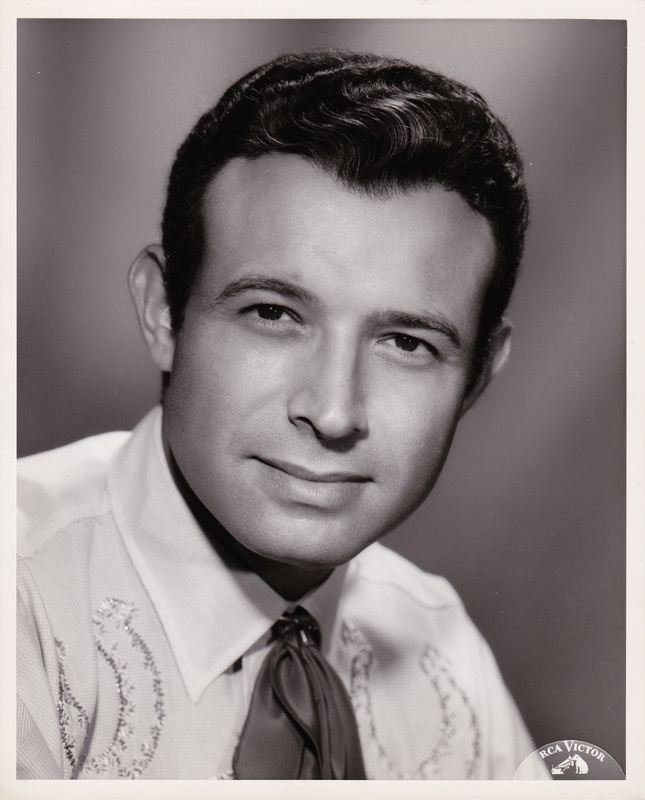 Above, a publicity photo of Ernie Felice for his RCA records contract. Ernie Felice, young accordionist with an extraordinary "swing" style, makes music which is vastly different from the work of other accordion virtuosos. This is partly due to the use of a special mute, designed and patented by himself, and partly because he patterns his playing after a "full band" style. As Ernie explains it, "I play several notes at once with my right hand, progressing harmonically as in brass, string or sax section of a full Orchestra." The result is exciting, unusual music, of such original concept that Bing Crosby and Benny Goodman have frequently featured Ernie on their live air shows, and Capitol Records in 1947 signed him and his quartet to a long-term contract. The evolution of Ernie's style came as a result of much experimentation and study. Ernie first studied Piano. His father was a ranch foreman at Campbell, California, near San Jose. When his father's employers presented the Felice family with a large, old-fashioned upright piano, Ernie's older sister Louise began to take lessons. Five year old Ernie "listened in" at every lesson. He learned so fast and showed so much natural musical talent, that the family soon decided to spend lesson money on him too. Young Ernie used to watch older musicians playing accordions at weddings and other festive occasions. He was completely absorbed by this different type of music. 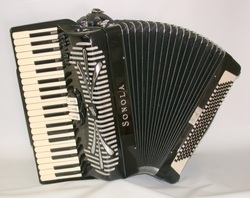 His parents, noting his interest, bought him a junior-sized accordion. When he was eight, they gave him a full-sized instrument. He took lessons from a San Jose instructor Earl Sylvester and won the California Juvenile Championship for two successive years, when he was nine and ten years old. When the Felice family moved into San Jose, Ernie continued to study music until he finished grammar school. He often played at parties, either solo or with a drummer. A neighbor boy who played saxophone asked Ernie to work out some sax arrangements for him. Ernie, who was studying arranging in school, experimented on his accordion, playing up to four different sax parts simultaneously. He liked the different effect, promptly adopting it in his attempt to modernize his style. San Jose State College gave a yearly show called the Spartan Revelries. The Musical Director of the event, a friend of Ernie's, invited him to do the show score in 1936. It featured a large orchestra. Ernie's score was sensationally successful. After that, Ernie associated all his accordion arrangements with the music of a large band. Following his graduation from High School in 1937, Ernie joined a small group in San Francisco, known as the Four Sharps. They played at Tommy Harris' club on Geary Street (Tommy's). Duke Ellington, then appearing at the Golden Gate Theater, used to drop by often. He encouraged young Ernie to stick to his original style and develop it. The Four Sharps stayed in San Francisco almost two years. They were booked at the Los Angeles Town House, where they remained for six months. At their next engagement, the Colorado Springs Broadmoor Hotel, they were equally successful. Bing Crosby caught their act and gave Ernie more praise and encouragement. The group then disbanded because of enlistment. Ernie entered the Air Corps, and was assigned to an entertainment unit, which toured the country helping to sell bonds and to promote recruitment. Up to this time, Ernie's test recordings had sounded harsh and tinny to him. He now experimented with a home-made mute designed to filter the tone. Results were excellent. Adding a bass, snare drums and clarinet, he formed a quartet that could provide variety of tone and an entirely new sound, similar to the late great band leader Glenn Miller's reed section. Progress was rapid from then on. Radio star Bill Thompson introduced Ernie to many people important to the field of music. Johnny Thompson, arranger for Benny Goodman, took him to a Goodman rehearsal. Benny listened, tried Ernie on his next radio program, and added the young accordionist as a regular member of his group. Capitol's executive heard test recording of Ernie's quartet and he was quickly brought under contract. He is also heard on Capitol Records as a member of Benny Goodman's sextet (album "Benny Rides Again"). Ernie is featured with his quartet in several motion pictures, including Paramount's "The Big Clock", Warner Brother's "It's A Great Feeling" and "Tea For Two" with Doris Day, 20th Century Fox's "With A Song In My Heart" with Susan Hayward (playing Jane Froman), and a musical short feature, "Smooth Sailing." In Radio, his quartet's regular programs have included a half-hour ABC Saturday show "Starts In The Afternoon," with commentator Frances Scully.